So..this past Sunday, I happened to glance at my watch. It’s a Pebble Time Steel that I purchased over in 2016, new, for well under $249. 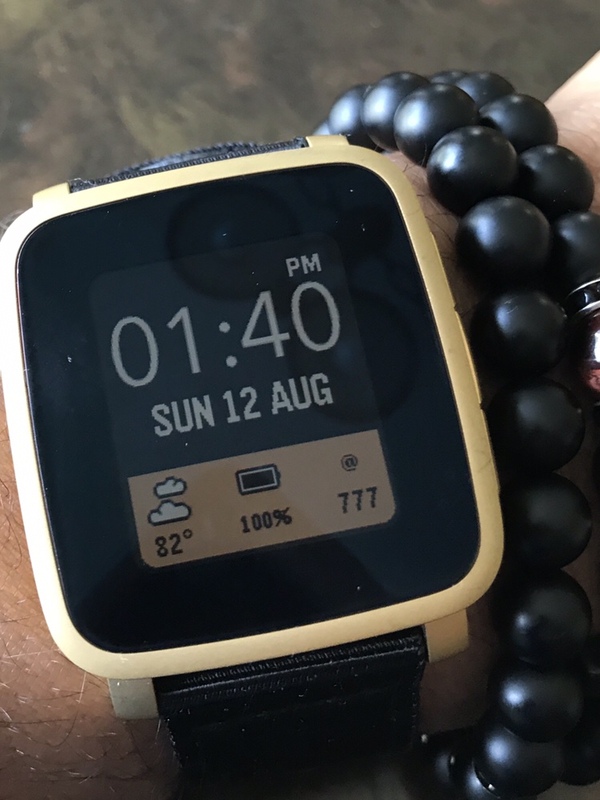 There are tons of watchfaces that users have developed for the Pebble line. I noticed that this particular watchfa ce (many are customizable to show various aspects of data you’d like to see on the watch) that it was showing the date twice. I clicked on the watchface settings on my phone to replace one of the date settings with something else. I noticed, in the menu, something called “Internet Time”. I’d never heard of it, so I set it to show that. “Pretty cool”, I thought but…..what is it? I immeditely searched Google and here’s what I found. From Wikipedia, Swatch Internet Time (or .beat time) is a decimal time concept introduced in 1998 by the Swatch corporation as part of their marketing campaign for their line of “Beat” watches. Instead of hours and minutes, the mean solar day is divided into 1000 parts called “.beats”. Each .beat is equal to one decimal minute in the French Revolutionary decimal time system and lasts 1 minute and 26.4 seconds (86.4 seconds) in standard time. Times are notated as a 3-digit number out of 1000 after midnight. So, @248 would indicate a time 248 .beats after midnight representing 248/1000 of a day, just over 5 hours and 57 minutes. There are no time zones in Swatch Internet Time; instead, the new time scale of Biel Meantime (BMT) is used, based on Swatch’s headquarters in Biel, Switzerland and equivalent to Central European Time, West Africa Time, and UTC+01. Unlike civil time in Switzerland and many other countries, Swatch Internet Time does not observe daylight saving time. Apparently, I missed this boom of the 1990’s that Swatch was attempting to start, however, it was riddled with approaches that never held much water and didn’t prove to be as useful as Swatch had hoped. This article laid out a few of the advantages and disadvantages. The Wikipedia article gives the full history. Be that as it may, it’s kinda quirky, and has gone by the wayside, but I think I’ll still display it. This entry was posted in Daily Musings, Technology and tagged internet time, Pebble, Pebble Watch, Swatch, Technology, watch. Bookmark the permalink.